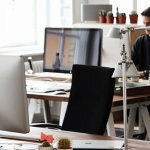 Home » Blog » Tax on company benefits: what is a form P11D? As part of your job, you might receive little perks and extras on top of your annual salary. These are known as Benefits in Kind and your employer will use a form P11D because these benefits are taxable. You don’t have to be a business owner or a director to receive taxable benefits from your business. If you’re an employee, you might have company benefits such as company car or private medical insurance. For this reason, you’ll need to complete a form P11D. In this article, we take a closer look at this tax form, what you need to include on it as well as why it’s important. Form P11D: What is it and do I need one? A form P11D is used to report to HMRC the employment benefits (Benefits in Kind) company directors and employees have received over the year. The form is more relevant to employers – companies must submit their forms to HMRC every tax year. Businesses pay National Insurance contributions on these benefits and company staff will pay tax on these benefits. The amount of tax you pay depends on what kind of benefits you receive and their value. Employees and directors don’t get a separate tax bill. Instead, employees and directors will get a different PAYE tax code and can be taxed through their salary. You can check to see how this affects your income tax here. It’s always worth checking the specific PAYE tax code you receive from HMRC. This is because it’s your personal responsibility to inform HMRC if you think you’re paying more or less tax than you expect. Your employer might provide tax free childcare support, including childcare vouchers. The employment section of your tax return is where you will need to enter relevant information from your form P11D. Our personal tax experts can help complete your self assessment tax return on your behalf, giving you peace of mind that is has been filed in-time and with no mistakes.